Legend has it that two deities — the volcano goddess Pele and the demi-god Kamapuaʻa (the latter of whom could control the weather) — struck a deal to make the vast Big Island of Hawaii’s west side so dry, and its east side so wet. The story’s short version is that, after a battle, the pair divided the island in two, with Pele taking the western half and Kamapuaʻa, the eastern. Even so, the island’s weather isn’t so cut-and-dried. Twelve distinct climate zones exist here, ranging from East Hawaii’s tropical rain forests and Mauna Kea’s frozen tundra to Kaʻu’s arid desert in the south. Covering 4,028 square miles, the Big Island (or the “Orchid Isle”) is the youngest and largest of the Hawaiian Islands — twice the size of all the other major Islands combined. And with two of the five volcanoes that created the island still active, it continues to grow: Kilauea Caldera is the longest continuously erupting volcano in the world, its present eruptive phase dating back to 1983; Mauna Loa, meanwhile, last erupted in March of 1984, sending lava to within a few miles of East Hawaii’s Hilo town. Of the remaining three volcanoes on the island, Mauna Kea and Kohala are extinct, while Hualalai is considered to be dormant, having last erupted in 1801. Until recently, upcountry Waimea’s Parker Ranch was the largest privately owned cattle ranch in the world, and ranching and agriculture continue to be the Big Island’s economic mainstays — particularly beef, Kona coffee, macadamia nuts, fruits and tropical flowers. 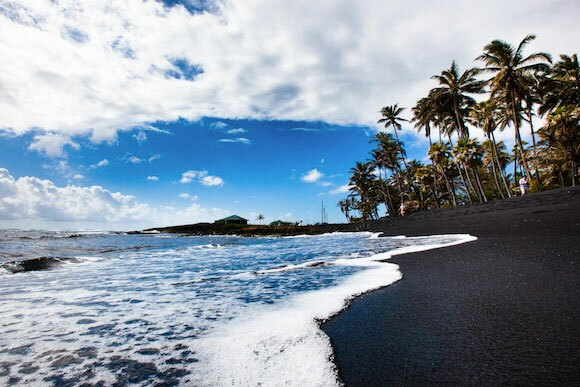 Resorts and most residential developments are located in coastal areas such as Hilo, Kailua-Kona, and the Kohala Coast, leaving much of island’s interior untouched. Hawaii is the youngest island in the chain, and it continues to grow: Kilauea Caldera is the longest continuously erupting volcano in the world, its present eruptive phase dating back to 1983. Hawaii Volcanoes National Park is a short drive from Hilo and a little farther from Kailua-Kona. Each year the Big Island plays host to a number of world-renowned festivals and sports events, the most notable being the Merrie Monarch Hula Festival (in Hilo each April), the Ironman Triathlon World Championships (in Kona every October) and the Kona Coffee Cultural Festival in November. Though the average temperature on the Big Island ranges from 71 to 77 degrees Fahrenheit in the coastal regions (with temperatures in the low 70s October through April), the summits of Mauna Kea and Mauna Loa are often blanketed with snow. Average annual rainfall ranges from 10 inches at Kawaihae (near the west-facing Kohala Coast) to 128 inches at the Hilo Airport. Fifteen miles off the island’s southeast coast yet another volcano, Loʻihi, is erupting 3,000 feet below the surface of the ocean. While it will still be several thousand years before this volcano breaks the sea’s surface, it has already risen more than 10,000 feet from the sea floor and has a crater that measures three miles across. Kamehameha the Great, who unified the Hawaiian Islands under one king for the first time in 1810, is believed to have been born in the Big Island’s North Kohala area. Captain James Cook, who is widely considered to be the first European to set foot in the Hawaiian Islands, was killed at Kona’s Kealakekua Bay in 1779.